Architectural trends come and go, but some visions are more persistent than others, and Brutalism could have been among them. This artist asks and answers the question: what if concrete monstrosities of the 1960s and 70s had somehow won the war against the steel-and-glass towers that dominate contemporary skylines? German digital artist Clemens Gritl has built a virtual world around this retro-futuristic vision, dubbed “A Future City from the Past”, populated with extreme forms of concrete idealism. 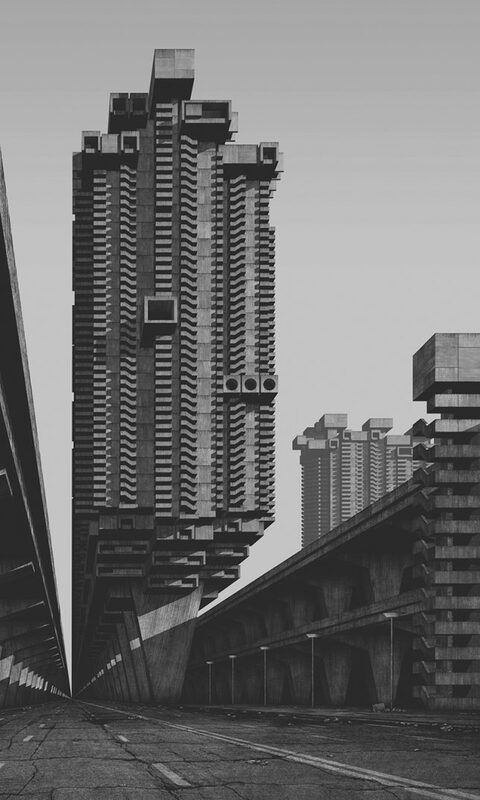 His “super-brutalist” metropolis extrapolates the revolutionary aesthetic of this harsh material, seen for a time as representing social progress and democratic ideals in architectural form. 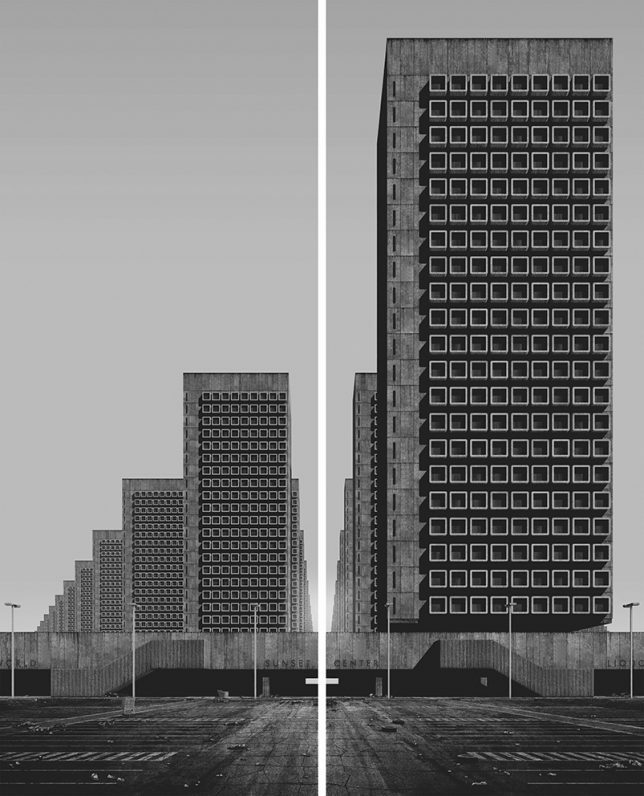 Through 3D modeling (exhibited as black-and-white 2D images), this series presents something that could have been seen as utopian but inevitably, with Brutalism in hindsight, feels oppressive and dystopian. His renditions are meant to look like products of a past time, capturing Modernist-worthy views of these giant-sized Brutalist creations. Individually, various structures recall Modernist greats as well, like a towering residential complex arrayed on piloti (columns) as envisioned and realized by Le Corbusier. 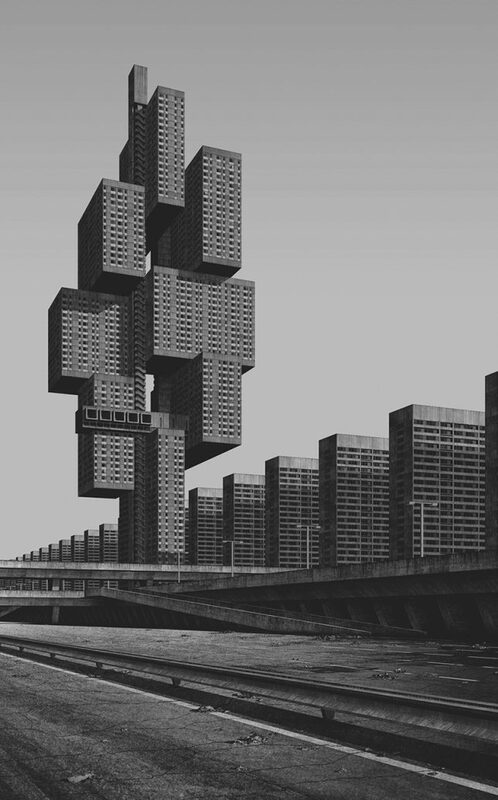 But, like Corbu’s masonry towers for his idyllic cities, the results do not look particularly livable. Perhaps the portrayal is also a little unfair — after all, Corbu at least envisioned these things surrounded by green landscapes.